Here’s something I’ve never done before … mini reviews. I still have no blogging mojo. In fact, I’m typing this up quickly while my daughter screams fusses in her crib after only a 20 minute nap – momma needs more nap than that, darling! So while I have little to no blogging mojo, I have been reading a bit. And I need to get these thoughts down before I forget everything. Thoughts: This was my very first selection from the Book of the Month Club. To say that it was a disappointment would be the understatement of the year. To be completely honest, none of the October books really caught my eye, this one was just the one that seemed like it would be the most enjoyable for me. Oh how wrong I was on that! I struggled through this one. For 3 freaking weeks. I still don’t know why I bothered to finish it. I did not like it in the least. I can’t in good faith recommend this book, but hey, I’m sure someone out there would enjoy it … just not me. Thoughts: I knew I had to have something fast paced after coming off of Fates and Furies, so of course I picked up a James Patterson book. Overall, I enjoyed this one relatively well. I think I prefer the Private books where Jack Morgan plays more of a role, but this one was still interesting. I can almost always rely on Mr. Patterson for a quick and enjoyable read, this one does not fail on that part. Recommended for sure. Thoughts: What a cute little first in a series. 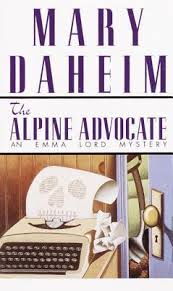 Cozy mysteries are not usually my cup of tea, but for some reason this one really caught my eye and was an impulse order on Paperbackswap. I think a lot of the draw for me was the journalist/newspaper aspect of the storyline – I originally declared print journalism as my major in college. Anyway, like I said this was a cute little book. It kept my interest throughout. And I had no idea who the killer was until it was revealed at the end – I had missed all of the clues laid throughout the book. I am definitely looking forward to continuing this series in the future and would definitely recommend it! Blurb: Rachel catches the same commuter train every morning. She knows it will wait at the same signal each time, overlooking a row of back gardens. She’s even started to feel like she knows the people who live in one of the houses, “Jess and Jason,” she calls them. Their life – as she sees it – is perfect. If only Rachel could be that happy. Review: When this one first came out it had so much buzz surrounding it. But I was intrigued. I wanted to read it so badly. But I usually end up hating buzz books. So I chose to hold off and let the buzz die off a little bit. When I went on my cruise recently, I finished the only two books I took with me. On the last night of the cruise, I decided I’d pop into the cruise ship’s library and see what they had. And I saw this book. I got so excited I nearly knocked my husband down to get to it. So I made a little trade with one of the books I had finished for this one. I started reading this one on my plane ride home. I read 100 pages. Actually, I should say I flew through 100 pages, because that’s more accurate. 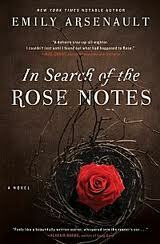 What I really found about this book was that it was an addictive read. Another thing that I found was that the characters are horrible. Actually, they’re probably a bit beyond horrible, they’re that bad. I wanted to slap Rachel upside her head on more than one occasion. I could hardly tolerate her near the end – either make the change in life you need to or stop whining about it and deal with what you’ve gotten yourself into. I had very little sympathy for her. Anna irritated me to no end. She was too proud of herself for breaking up a marriage – not something that’s really brag-worthy in my opinion. Then you had Megan, Scott and Tom. They were all screwed up too. Every single person in this book was screwed up to the max, to be completely honest. It was just a little over the top in places, and I hated every single one of them. But yet, I kept reading. I had to know what really happened. It really was an addictive read. I don’t know why I loved this one so much. It was irritating to me in so many places. I hated the characters. Yet I loved it. It’s such a strange thing to try to describe. But definitely a book I’d recommend. Driving home, Margaret Holloway is rear-ended and trapped in the wreckage of her car. 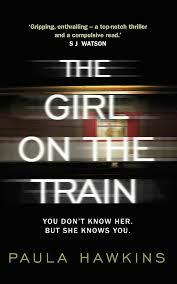 Just as she begins to panic, a stranger pulls her free and disappears. Though she escapes with minor injuries, Margaret feels that something’s wrong. Flashbacks to the crash are dredging up lost associations from her childhood. And somehow, Margaret knows that it’s got something to do with the man who saved her life. As Margaret uncovers a mystery with chilling implications for her family and her very identity, Everything She Forgot winds through a riveting dual narrative and asks the question: How far would you go to hide the truth-from yourself? 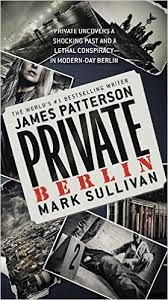 I received a copy of this book for free in exchange for an honest review as part of a Partners in Crime Book Tour. The thoughts below are my own. That quote that I included above, “Some things are best forgotten,” is really the heart and soul of this book. As I was reading and watching everything unfold in front of my eyes, it really got me thinking about just how impressive the human mind truly is. What our minds can do with memories is shockingly unreal to be honest. This was my first time reading a book by Ms. Ballantyne; but it certainly won’t be my last. I took this one on my recent vacation and I loved every page of it. It was easy to read in bits and pieces without getting lost. It kept my interest – in fact, at one point I wanted to just sit in the room and finish the book … not enjoy vacation! Oops!! This isn’t a fast-paced thriller. Instead it’s a very intricate tale where the story is laid bare little by little. I loved getting to know Maggie, Big George, and even Angus (who was not my favorite character … I had a lot of issues with him after what he let happen to his poor cow). And as I said earlier, it really is interesting to see what the human mind is capable of. This was a really enjoyable read, I loved watching Maggie’s memories come back to her bit by bit. And the way it all came full circle at the end was nice. Overall, a book that I would definitely recommend! Her debut novel, The Guilty One was translated into over 25 languages, long-listed for the International IMPAC Dublin Literary Award and short-listed for an Edgar Allan Poe Award. 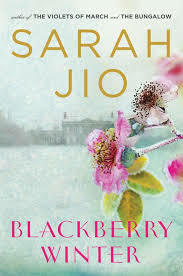 The Guilty One was also the Autumn 2012 Richard and Judy Book-club Winner. She lives in Glasgow. 09/18/2015 review @ 3 Partners in Shopping, Nana, Mommy, &, Sissy, Too! Blurb: After the Iron Curtain’s collapse, Russia appears to be finished as a superpower. But KGB general Vasily Karpov is working behind the scenes to restore Russia’s status by forcing Americans into traitorous acts of espionage and sabotage, with the aid of a new secret weapon. Meanwhile, his biggest target is within Russia, where Karpov is plotting to capture the Kremlin for himself. Review: I received a copy of this book for free as part of a TLC Book Tour in exchange for an honest review. All opinions below are my own. When I was originally pitched this book something about it really caught my eye. I’ve been trying to stay away from taking on too many review commitments because my reading has been severely limited since welcoming our second child in May. But this was one that I couldn’t seem to pass up on. Overall, I thoroughly enjoyed this one. I found it to be fast paced and interesting. It held my attention throughout the whole book (something I struggle with these days). I came to really like Alex’s character – even if I did have a hard time believing that he was able to survive so much. I’m always a little nervous when there’s a “Cast of Characters” list at the beginning of the book. It usually means I will have a hard time keeping up with things. However, once I got through the few first chapters, I had no trouble at all keeping things straight and didn’t even need to refer back to the list. If I had to make a complaint, it was that I felt the ending was a little flat. There was no real big “show down” which I was hoping for. Endings are a very difficult thing – you can’t please everyone. But it didn’t affect my overall opinion of this book, so it obviously didn’t bother me too much. 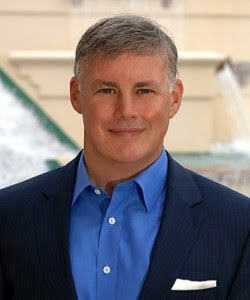 I am excited that there is a door open for Mr. Tigner to bring Alex back in a future book …. and I hope he does! I’d love to read more! If you want a book that is fast-paced, interesting and a lot of fun, I would definitely recommend this one. The characters are extremely well-developed. The storyline is interesting. The whole idea of the Peitho implants is scarily realistic in this technological age, which kept things relevant in my opinion. 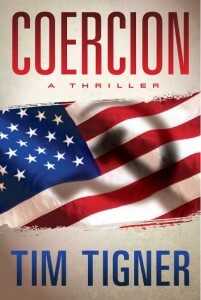 This one will attract a lot of political thriller fans, mystery fans, and historical fiction fans alike. Highly recommended. Review: I received a copy of this book for free in exchange for an honest review. All opinions below are my own. I was originally offered the chance to sign up for the book blast of this book a couple of weeks ago. I had stated in that post that I had yet to get to reading this one. I finally got to it … and I was hooked! I guess I should have read the blurb to this one AND the blurb to her upcoming full-length novel, Pretty Girls, to know that this short story was actually a prelude for the later release. Which would explain the twisty ending to this short story. And it definitely left me wanting to pick up Pretty Girls ASAP!! I really enjoyed Julia’s short story. I found her intriguing and believable. I enjoyed seeing her interact with her college friends as well as her sisters. On the one hand, I suppose I knew where this story was going to end up, but I was unprepared for the feeling of shock I had as I flipped that last page on my Kindle. I would definitely highly recommend getting your hands on this short story. Ms. Slaughter is a writer that I have only begun to just recently discover. I wish I knew why, but either way, she’s definitely caught my interest now! Highly recommended and I can’t wait to read Pretty Girls soon!! Blurb: Dr. Kay Scarpetta is about to head to Miami for a vacation when she notices seven pennies on a wall behind their home. Is this a kids’ game? If so, why are all of the coins dated 1981 and so shiny they could be newly minted? Then she learns there’s been a homicide five minutes away. A high school teacher was shot with uncanny precision as he unloaded groceries from his car. Yet no one heard or saw a thing. Soon more victims surface. The shots seem impossible to achieve, yet they are so perfect they cause death in an instant. There is no pattern to indicate where the killer will strike next. First it was New Jersey, then Massachusetts, and then the murky depths off the coast. 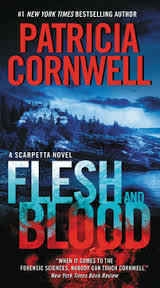 There she comes face to face with shocking news that implicates her niece, Lucy – Scarpetta’s own flesh and blood. Review:I received a copy of this for free in exchange for an honest review. All opinions below are my own. So those of you who follow me regularly will remember that my last experience with Ms. Cornwell did not end well. I was more than a little disappointed. And I even said I was “breaking up” with Kay Scarpetta. So what was it that made me want to read this book for the PICT book tour? I have no idea! I definitely liked this book a million times more than the last one I read, Port Mortuary. I didn’t read the three books between that one and this one. And honestly, I didn’t really find that it mattered that I had skipped those three books. Overall, I enjoyed this installment. I found it fast paced and exciting at times. However, there were a few moments where it lagged for me. Mainly, this was when there was a lengthy discussion regarding some ballistic testing. I found it a little too technical for my tastes and found myself skimming those few pages. Other than that, the book was highly entertaining to me. And the ending. Wow. Talk about a cliff hanger that has me dying to know what happens next. So while I’m still torn on this series as a whole, I have to say that this was a fun book to read and I would definitely recommend it. 08/07 review @ 3 Partners in Shopping, Nana, Mommy, &, Sissy, Too! Blurb: Once the thriving attraction of rural Vermont, the Tower Motel now stands in disrepair, alive only in the memories of Amy, Piper, and Piper’s kid sister, Margot. The three played there as girls until the day that their games uncovered something dark and twisted in the motel’s past, something that ruined their friendship forever. Review:I received a copy of this for free via Edelweiss in exchange for an honest review. All opinions below are my own. 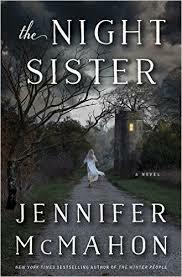 I have kept Jennifer McMahon’s books on my radar since devouring The One I Left Behind and The Winter People. So I was thrilled to catch this one on Edelweiss while browsing … even more excited to get approval!! The way this book unfolds is so impressive. It’s like Ms. McMahon just lightly peels away layer after layer until you’re finally at the heart and soul of the story. The pacing is just superb. The suspense keeps you on your toes. I really, really loved this book. I enjoyed the flashbacks. It was interesting to see the different perspectives from Rose/Sylvia to Amy/Piper/Margot and then on to Piper/Margot. The way it spanned some 50 years to reveal the intricate details of a family’s secrets … just, wow! And then when it all came to fruition at the end, there were a couple of revelations that made the book come together perfectly. I mean, really, I don’t know what I could possibly say negative about this book. I throughly enjoyed reading it. This one will definitely make my “best of” books read at the end of the year. Bottom line … read this book! And read some of Ms. McMahon’s backlist too – you won’t be sorry! Blurb: The body of an elderly man is hauled out of the rushing water of the River Foyle, cold dead. Detective Lucy Black is called in to investigate when it becomes evident that this was not a suicide: the man’s body was embalmed before it ever entered the water. Lucy Black. Oh how I love you! I mean seriously, I absolutely adore this book series!! There’s just something about Lucy. And Tom Fleming. And Lucy’s mom. I just have some weird love fest with these characters. I can’t help it. I almost missed out on this one, I was just randomly searching Edelweiss one day and came across it. I was so excited to see that there was more Lucy Black! In this installment there’s a lot going on. Lucy definitely has her hands full. Her father’s Alzheimer’s is rapidly progressing (such a sad, sad thing to watch happen to family members). She has to figure out why an embalmed body is found floating in a river. Then she has to deal with a neighbor’s family member having an abusive partner. Oh, her boyfriend wants her to move in with her. Then there’s another string of murders. A string of murders that she has to figure out why they all seem to be connected. There’s a lot going on. If I had to tell you the one weak part of this whole book it’s that there was so much going on. It was almost like there were too many dead bodies for me to keep track of. I eventually couldn’t remember which name went with which murder. I understood how they all connected in the end, but it was a lot of confusion for a little bit on my end. Now, that might just be because I read this book in bits and spurts, never really committing a whole lot of time at once. But it didn’t really slow down my enjoyment of this book whatsoever. After about the 60% mark of this book (darned Kindle – I want page numbers, not percentages! ), this book just absolutely flew by. There was a lot of action going on and I could hardly wait to get to the end to see how on earth everything ended up. The writing was excellent, the storyline was fast paced and exciting. The character development is exceptional. Overall it’s a book that I just want to gush about. Truly, I can’t say enough about this series. I fell in love with Lucy after reading Little Girl Lost and Someone You Know. I seriously hope you would give Mr. McGilloway’s Lucy Black series a chance. While I personally am always a stickler for reading books in order, I can tell you that this book would read relatively well as a standalone.